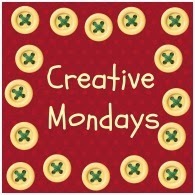 Rainbow Creations - Art and Craft for Children, internet retailers of children's art supplies and children's crafts. We aim to give advice on our blog, tips and news relating to our products and children's art and crafts in general. We would love to hear from you.Please feel free to add your comments, thoughts, ideas. Never having had ever made a dream catcher before, this craft was a skill unknown to us. We wanted to make a dream catcher from a kit as we needed to know how to make it with instructions there in front of us. Dreamcatcher kits are available in two colours, one to make a pink dream catcher and one to make a brown dream catcher. It is one of those things that having made one for the first time, the second time of making it is much, much easier! We came across a couple of small difficulties, however, through trial and error, we resolved these which gave a great sense of satisfaction. The kits come with a metal hoop and leather thonging to create the base that the feathers hang from. We worked it out that the best way to stop the thonging unwinding was to use a paper clip to hold it firm whilst the remaining thread is wrapped round the hoop. We also discovered that the stitches need to be a tight as possible in order to create the tension required without the stitches looping. 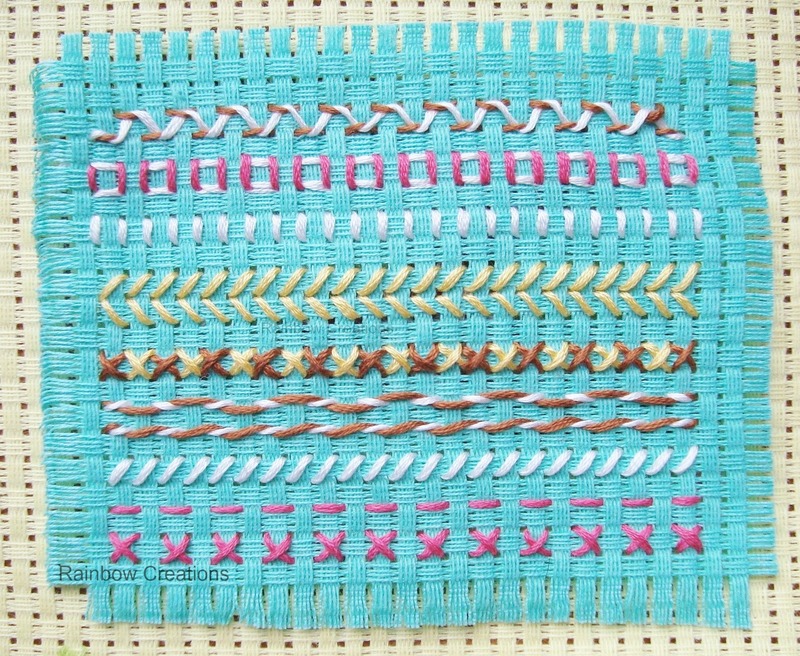 The macrame stitches look best with a backwards twist. 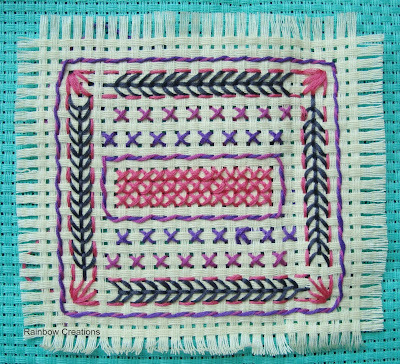 This is done by inserting the needle through the loop of the stitch and the loose thread before pulling tight. This really is a craft most suitable for older children, teenagers and adults. Two hands, lots of concentration and patience are needed. Little children would find this difficult and frustrating. A simplified version could be made without making a formal pattern with the stitching. For this we would use an embroidery hoop and colourful yarn wrapped from side to side and in between in a random pattern. Once done, all that was needed was to add the cords,beads and feathers. This could be done with the help of a small child. Looking at it that way, it would be a great craft for adults to do with small children, in that the completed dream catcher would be shared activity. The finished dream catcher then being hung in the child's room to help keep any bad dreams away. Today we have been making critters out of craft pom poms. Have you heard about pom pom critters? So useful if you need to keep children quiet, for whatever the reason. We used glitter pom poms as they look like they have spiky hair all over them, due to their metallic strands. We think they look rather cool! Pom pom critters can be used by teachers, in the classroom, or at home to help with behaviour management. They are named 'Quiet Critters' in this instance. For a teaching method of keeping the children quiet and on task, this can work really well. The idea being that all the creatures live in a soundproof container as they don't like to hear a lot of noise. If a child is quiet, they get the chance to look after a critter. If the child, then gets too noisy, the critter will dislike this and need to be moved to a quieter place. Critters do not need feet as the pom poms will stand alone without toppling over. However, if you prefer a critter to have feet you can use foam hands and feet for the bases. We actually used foam hands for some of our critters and used them as feet as who knows really what a critters' feet look like! We made both small and large critters as different children have different tastes. They are best suited for classes in key stage 1, although we know of an 18 year old who has been quite taken with them! Not that it keeps him quiet, by any means. On this, junior classes may be enticed by them too. If your class would prefer pom pom monsters, these are just as easy to make as critters. Just add a single googly eye rather than a pair of googly eyes. To make the critters all you need are glitter pom poms, small and large googly eyes, foam feet (if desired) and glue. If you use self adhesive eyes and do not want feet, you will not need any glue at all. Assemble as shown in the image below. Critters can also be used at home during times which children are best being quiet, in preschools, nurseries and by childminders. Have you ever used Critters with your children as a means of keeping children quiet? We think that for just over £10.00, the materials to make 100 critters is money well spent! With Mother's Day not too far away, we realise that many people will be thinking ahead as to what children can give to Mum for Mother's Day this year. We think that handmade gifts are so much more meaningful than an off the shelf purchase, so what better than for children to make something to give. Today we have been making bracelets for Mum using beads which are suitable for any age of child to use, even preschoolers. To personalise the bracelets we used children's alphabet letter beads. We have both smaller letter beads and larger ones for the little children to use. We sell the beads by the letter so that the choice of letter is guaranteed. Also in mixed letter packs. For an individual child, a mixed pack would be fine, but for groups who would require several of the same letter (in this case letters M U and M) the additional packs of single letters are advisable so as not to be disappointed that there are not enough of the letters you need. We like to think that children could use beads which their Mothers are likely to wear. However, they must also be suitable for children to work with. This means no glass beads but wood or plastic. We choose a simple small round plastic bead to compliment the small cube shaped alphabet beads, but the choice can be left to the children as to what they think their Mum would like (and not what they like themselves!) These bracelets are threaded onto stretchy cord so there is no worry from the child that it might not fit their Mum's wrist! We also made a key fob using wooden alphabet beads and coloured wooden beads to match. Young children might need help spelling out the word 'Mummy', but after all, this is a good learning opportunity too. Choosing the style of bead, the colour, then the arrangement makes each child's bracelet that they have created unique and special for their own Mum. And if Mum is the one doing the making with the children, perhaps Grandma would be thrilled to receive a bracelet instead. The very first step in leaning how to crochet is to make a chain of stitches. Although crochet seems easy once learnt, it is surprising how difficult the physical action of making the very first stitches can be having never done it before. So, to practice chain stitch and do more and more chain stitch until it comes naturally, is a good thing that children can do to help themselves to progress further. Children and beginners will find it difficult to follow a pattern or even do a row of single crochet without the ability to hold the yarn at the right tension for it to slide easily through the stitches. The action of the wrist of the hand that holds the hook when making stitches is also something to be acquired. Chain and more chain is the way to go! But what can you do with all the lengths of chain once they have been made? Well, simply making them might be enough to satisfy some children. Others might want to see a purpose, not just doing it for the sake of learning it before they can really crochet 'something'. The amount of chain stitch needed to do will really depend on each individual child but to be impatient before they are really ready to move on to learning stitches could only end in frustration. We discovered that buttons can easily be incorporated with chain stitch. They really look quiet pretty when hung in a string. Lengths of chain stitch and buttons can be made into bracelets, necklaces, room decorations, belts depending on the size buttons that you choose to use. We chose to use cool coloured buttons and decorated a mini foil covered Christmas tree so as to look icy, as a winter decoration. To do this, you will need to thread all the buttons onto a length of wool before the chaining can begin. Building a child's confidence in their own ability is important - enjoy being creative, making it up as you go along, one step at a time! At what age can a child learn to crochet? We would recommend, on average, age 7 years upwards. If you try before then, without success, the child could be discouraged forever. Buying a whole ready made crochet kit for children can be over facing for a child, with many projects left unfinished. All you really need is a coloured yarn in order to take it step by step, at your child's pace. Once a certain level of competency has been reached, only then will you be able to tackle a crochet pattern with instructions. 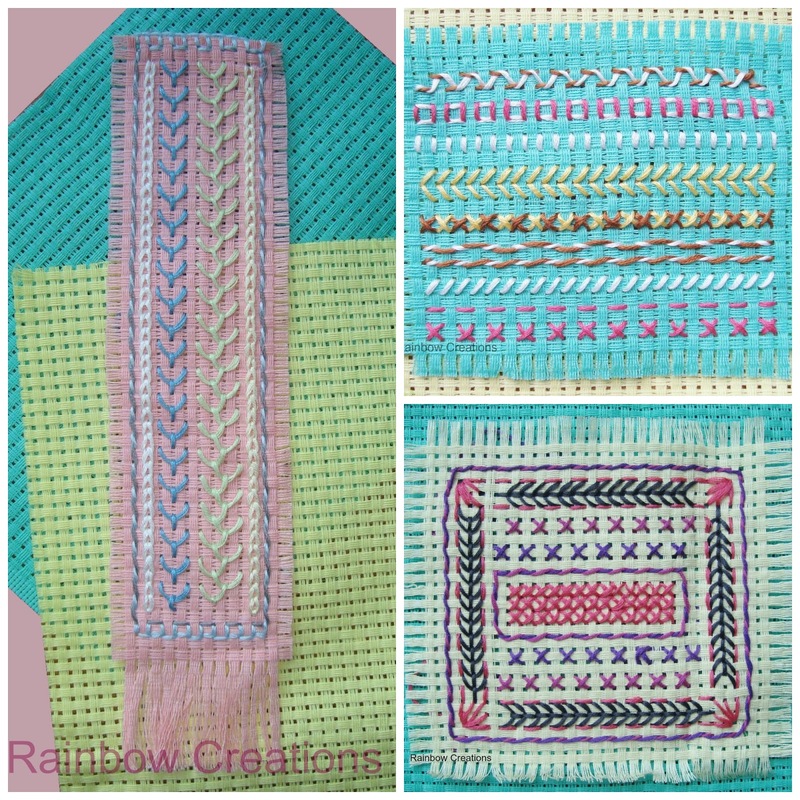 There are several instructional videos on the internet demonstrating crochet stitches, which are possibly easier to follow than diagrams and written text. And for a future date there are suitable ideas for children's crochet on Pinterest. Much depends on what you are looking for, be it something to pass a few hours and nothing more than that, or teaching and learning a life long hobby which, once learnt, at whatever age, can be picked up and down with a passion and suit your circumstances at the time. 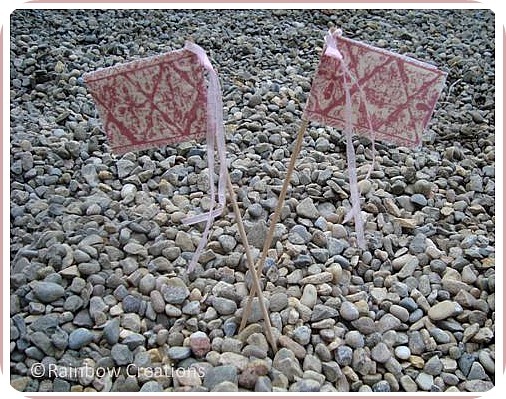 Have you ever thought to make your own sandcastle flags? They are usually just a round thin wooden stick with a rectangle or triangle of paper attached to the top. Building sandcastles is a typical childhood summertime activity and flags are often a last minute thought, even when just arriving at the beach. When the sun goes in behind a cloud, (well in a British summer, that happens), what better thing for young children to do than build a sandcastle. Did you make sandcastles as a child? And, isn't waiting for a summer holiday is a difficult thing for children to do! Here we are preparing with a physical activity where their thoughts are, and can still be, focused on what they want to think about - their summer holiday or trip to the beach. When children use their hands doing a craft activity, it keeps them busy, making it easier to control any excitement and keeps them calmer too. Flags can be made as simple or elaborate as you like - use any craft materials you have to hand. All you need are round wooden lolly sticks which will stand easily in the sand. (better for using than flat lolly sticks as they are less likely to blow over in the wind) Each packet contains one hundred sticks, which will make several sandcastle flags for one child or could be shared between a group of children. Depending on your child's nature and interests you could make cute ones, pretty ones, funny ones or themed ones. They can be hand drawn and coloured or decorated with googly eyes, foam shapes or glitter. You could add ribbons to the top, which will blow in the wind. The opportunities are endless. Paint will run if it gets wet (acrylic paint will last longer), the same with felt tipped pens but of course, that depends how disposable you want them to be. If you really are wanting to economise you could make some which will last year in, year out by using felt or fabric. Round, thin wooden lolly sticks can be cut easily with a pair of scissors by children so they can make their flags as small or large as they like. We were going to add a list of suitable craft materials for children to use to make their flags with but, when thinking about it, almost any children's craft embellishments will do. We are really, really reluctant to share a photo of some finished flags. 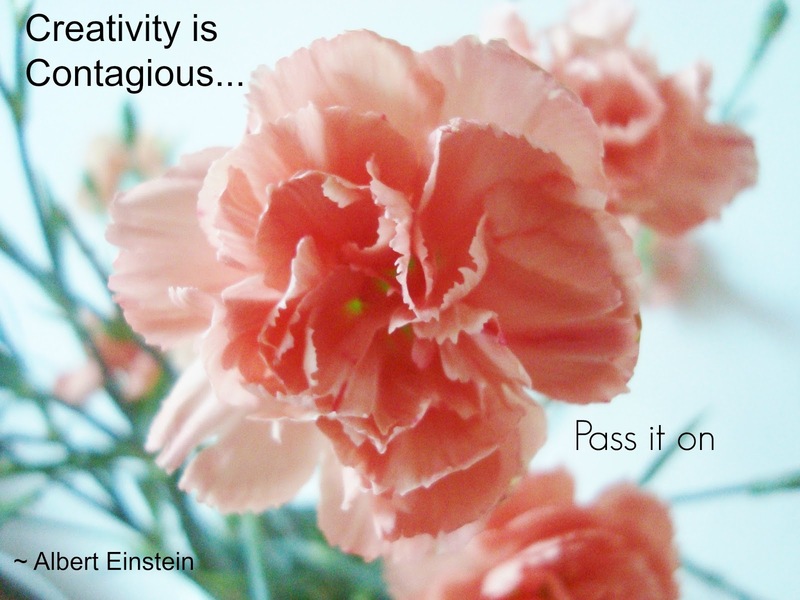 This is simply because we prefer to encourage creativity and as soon as an idea is seen it seems to suppress any creative ideas. How hard is it to get what you see out of your mind and start afresh? But here are just a few. Homemade sandcastle flags don't always have to be played with on the beach. They can be used in a sandpit at home or at preschool, encouraging imaginative small world play for children. Flags will also stand in soil, gravel, play dough and cakes. Building a sandcastle is a learning activity as well as fun. It incorporates science as well as art. Maths can be included by counting the castles sorting the flags, or sequencing castles and flags. Discovering the world in which we live and the physical skill of getting the sand into a bucket, patting and turning out, not to mention the patience required. What a magical moment for a child! We created a sewing starter set for children to learn to sew. The intention with this traditional set is that they learn to sew at their own pace, in the way the suits them best. There is no right way or wrong way with this set, in fact every child would be sure to create something different based on where ever their interests lie. We have included a mix of sewing supplies enabling children to be creative and produce something unique to themselves. If this sounds a little daunting, you might be wondering where you would begin. In order to give your child a starting point and gain confidence in actually achieving something initially, we have included a precut felt fish as a first project to help with this. The fabrics are a mix of textures, including a piece of fun fur -who could not resist touching that! Felt has the advantage of not fraying at the edges - fraying fabric is something that children will find difficult to deal with when they first start sewing. Felt can be used to decorate the fish by cutting into small pieces or making a needle case, a pin cushion or a soft toy, a mobile phone case, a bean bag....what ever your child might like to do. You can find more ideas here ,on our Pinterest board which is filled with ideas that children can sew. The principle of these contents is joining the fabric together. Shapes are cut from fabric and sewn together by sewing round the edges. The shapes can be drawn on paper first, pinned on to the fabric and cut round then sewn together. The scissors will cut fabric accurately. We believe that when learning, the right tools are important. There is nothing more frustrating that working with something that is clumsy to use. We have included needles that will sew through all the types of fabrics. The plastic needle is great for young children to use and then, as they progress, they will be able to use a metal needle safely. The dolly peg is for creating a peg doll character with by using the fabric provided, the trimmings and the craft embellishments. If you need ideas, you can see our dolly peg Pinterest board here. This is not the type of kit which comes with specific instructions but is one that a child can experiment with and learn from. Most children will probably need a bit of help with from an adult. Additional sewing materials for children can also be purchased should you need or like any more. This set is a creative activity for a wet day with your child or for a holiday with grandparents who might be more than keen to help. One that needs thinking about, planning, deciding, all the things that will help a child in the future, and above all, it is exciting and fun! Although this blog post may seem very much like a children's craft tutorial on how to make a bracelet, the purpose behind it is for children to so see that nature can be used creatively as inspiration for their jewellery making and arts and crafts generally. Here we made a bracelet that children can make themselves using the same pack of beads as previously used to make the blackberry inspired bracelets here. This time we chose brightly coloured beads which were the same colours as the autumn leaves. We threaded them to make a stretchy bracelet in this manner. When learning to create, skills are needed which can be built upon, little by little, in the future. So here is the craft tutorial too! For children to make a bracelet like this, the holes in the beads must be large enough for the elastic to fit through twice. We used 1mm width elastic and these beads are perfect for doing that. The advantage of using elastic rather than cord is that it is comfortable for children to wear and as it will stretch, it enables them to put on and take off their jewellery independently. Fold the elastic into two, then make a knot the same size as one of the beads at the folded end. Tie a knot when there are sufficient beads to sit comfortably round the child's wrist. Thread a few beads on each strand of elastic beyond the knot to finish off and knot to secure. 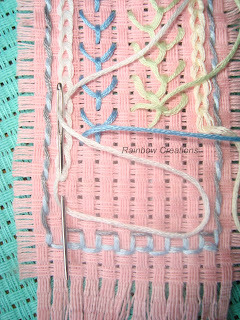 To fasten the bracelet, thread the ends through the first loop. The knot should hold it in place on the wrist or it can be wrapped around the first bead. Suddenly inspiration came to us for making some kid's bracelets with these beads, based on the art activity we did for Autumn. How much those beads looked like blackberries - the colours were similar and the little painted dots looked like the light shining on to the bumped surface of the blackberries. So, using the colours of nature we selected similar coloured beads to the blackberry. Usually Autumn colours are associated with the falling leaves, such as the golden colours, the russets, reds, oranges, browns and yellows but here we have an Autumn bracelet that is different. For children to make this bracelet they will only need a few beads from the bag, depending on the size of their wrist. Simply thread the beads onto elastic and cut the ends to fit. Then tie a reef knot ( right over left, left over right) and thread the excess elastic back through the adjacent beads. Whatever the time of year, the colour of these beads in the bracelet look so pretty together -children's bracelets inspired by the blackberry bush! Today we foraged for blackberries with the intention to collect and print with them. 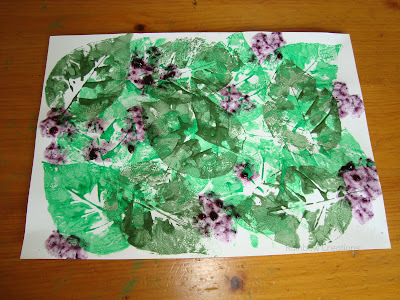 We wanted to experiment with different mediums for children's art in Autumn. Or aim was to reproduce the beautiful colours, textures and shapes found in blackberry bushes in the form of printmaking. 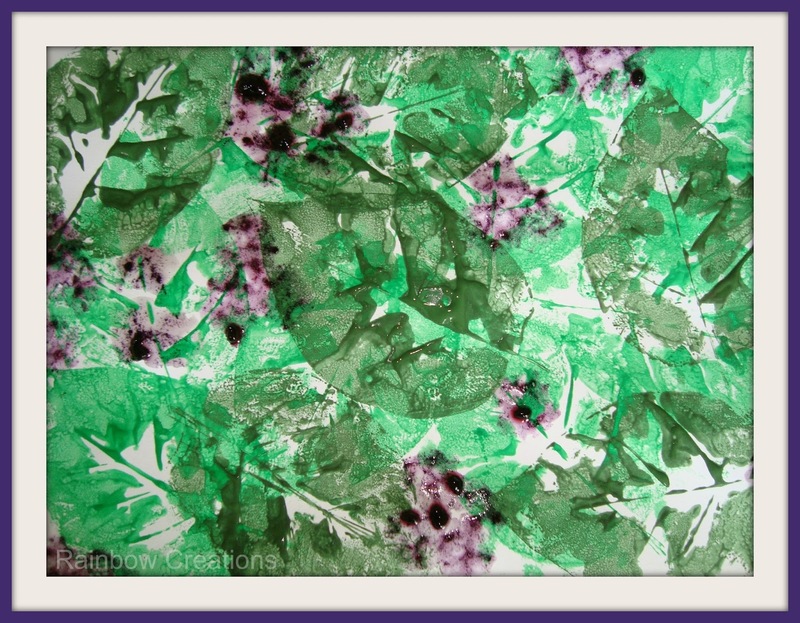 First of all we needed to make a background collage of leaves for the blackberries to nestle into and hide between. We could have used some real blackberry leaves but but decided, after looking closely at the shape of the leaves of a blackberry bush we found a leaf in our our bag of mixed type artificial leaves which was so very similar, if not the same. To print the leaves we used the reverse of the leaf as the veins were raised, which meant that the detail would stand out more on the print. 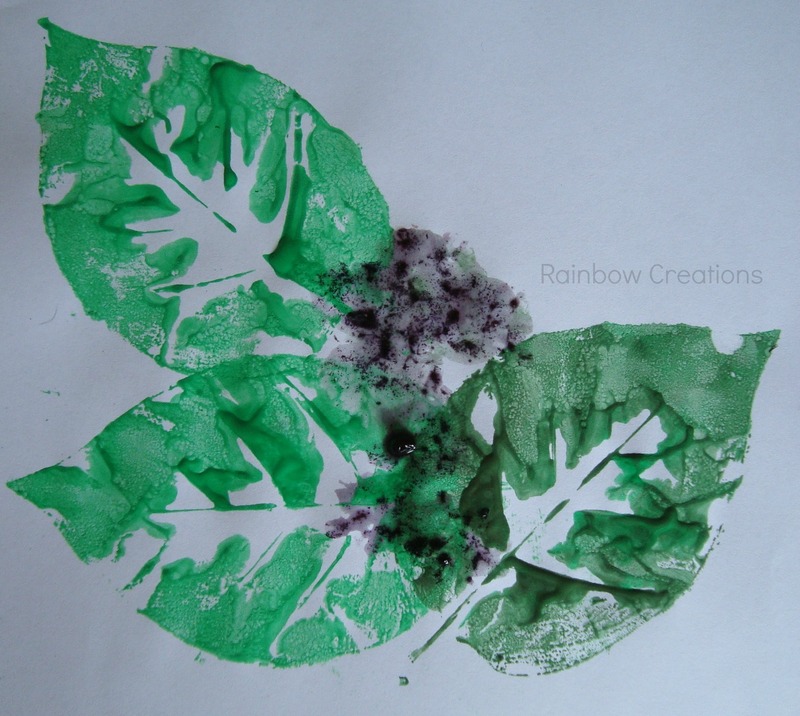 The leaf was painted with green paint, brushed on with a chubby paint brush for even coverage of the leaf. Once the paper was covered in leaf prints we decided a second shade of green would look good, as the leaves outside look different from one another depending on the angle of the light. So we added a small amount of brown paint to the green which created a murkier green to go on top of the bright green leaves. Then we were ready to paint with the blackberries. 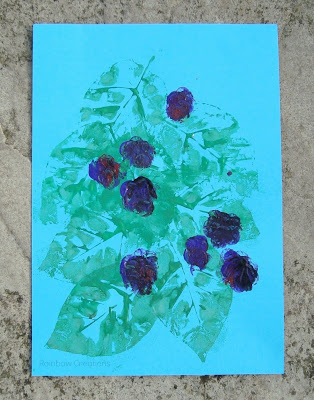 We had observed that blackberries hang in clumps on the bush and wanted to represent this. We pressed gently with a blackberry onto the paper. It was great to see that by using the blackberry itself (rather than the juice) we had created a textured look rather than an opaque print. 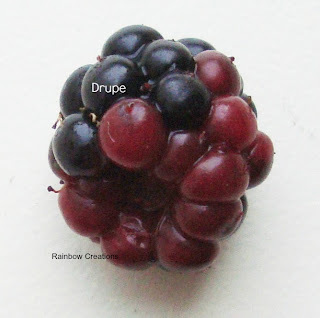 The texture represented the little bobbles on the surface of the blackberry, known as drupes. The colour was amazing. The watery effect was good. It was wonderful to create art work using a natural pigment. And this was the finished result. 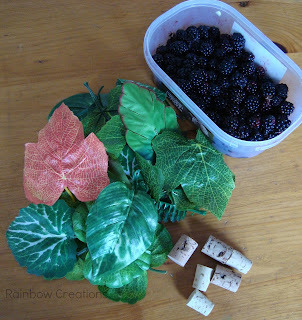 We wondered how we might paint a similar painting but without the use of real blackberries. This would make it possible to do if there were no blackberries around, for whatever reason. We used purple paint with a little red and a little black. We applied the colours individually, one on top of the other to give an uneven appearance. This meant that there were different colours on each berry as there are on real berries. 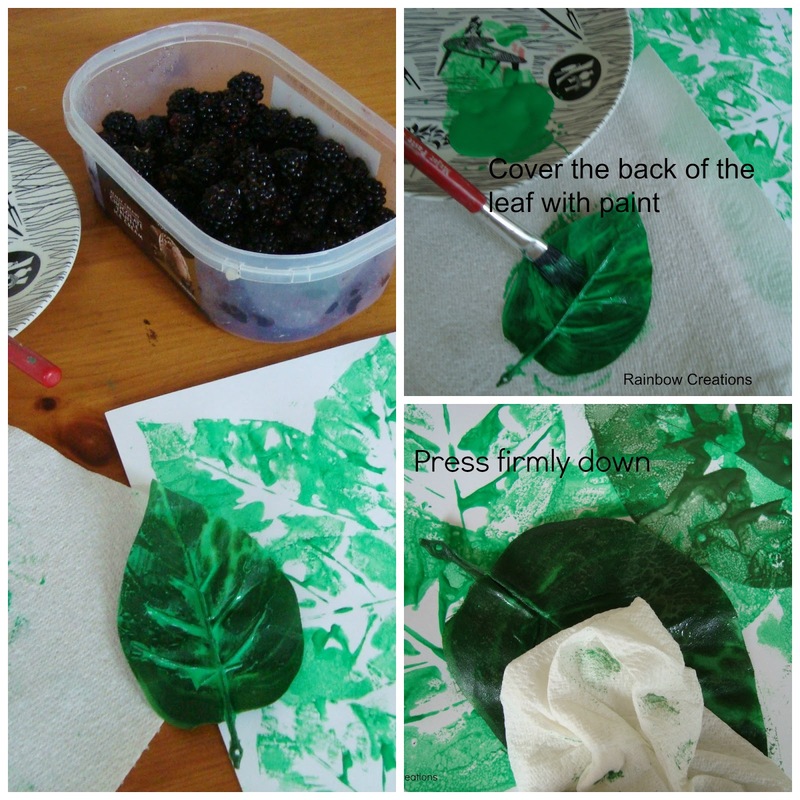 Alternatively the paint colours can be mixed together before applying - a colour mixing challenge for the children to mix the exact same colour paint as a blackberry. We found that it was more difficult to create the textured surface of the blackberry using paint compared to using the blackberry fruit, as if we weren't careful it looked like a grape! 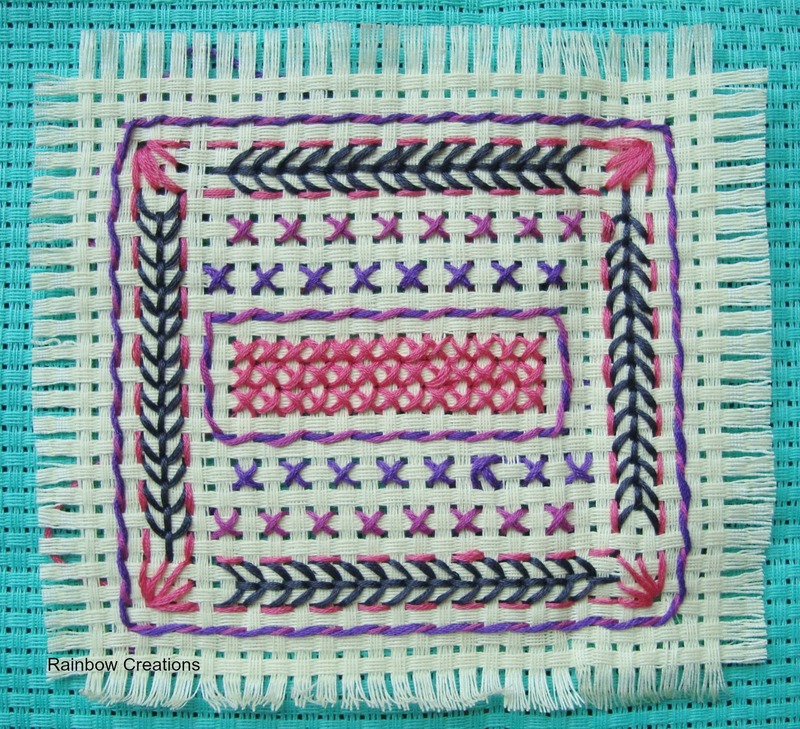 Some simple embroidery stitches that children can learn to do themselves, many of which are variations of one type of simple stitch. The stitches here are purely based on a running stitch (up one hole, down the next) or a cross stitch (up one then diagonally down one). 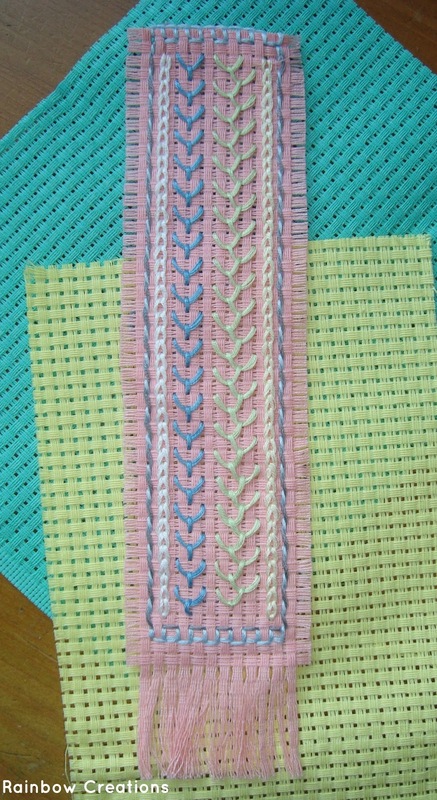 Depending on the direction, or the angle of the needle, variations can be sewn. Teaching children to thread a needle if your child is right handed, (reverse for left handed), bring one end of the thread round until it meets the other thread, forming a loop and hold in your left hand. Hold tightly between your thumb and finger, insert the needle into the little loop, eye first, and pull tightly away from the thread to make the loop firmer. Push the end of the loop through the eye of the needle. To begin sewing, turn to the back of the fabric and thread the needle though the raised weave of the canvas for 2 or 3 stitches. Push the needle through to the right side of the canvas in the hole where the stitching is to start. If your child has a tendency to pull hard on the thread when sewing this will undo the thread from the back and the sewing stitches will come out. To stop this from happening, sew a stitch over itself on the reverse of the fabric before starting stitching on the front. 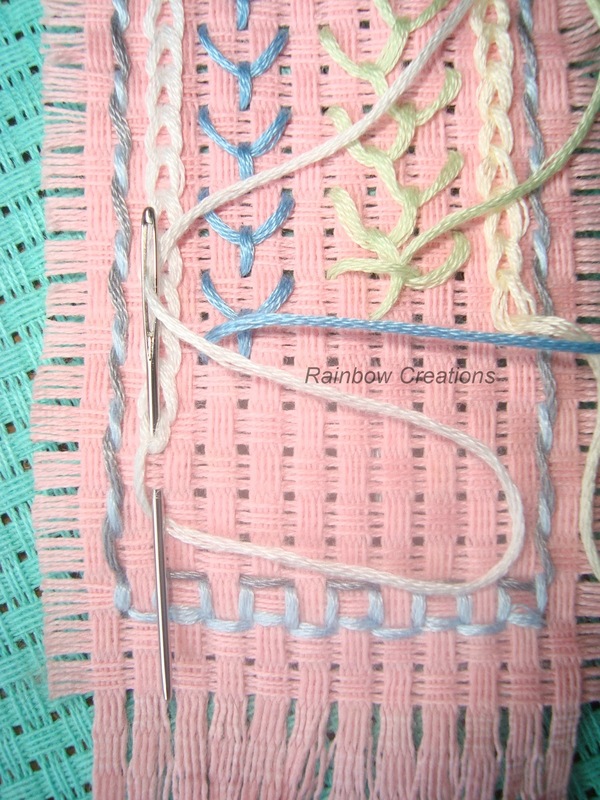 To do the whipped stitch (white and brown thread in the image), a contrasting thread is whipped over the running stitch. This can be known as snake stitch as the appearance resembles a snake. It's created by working a row of running stitch, then weaving in and out of the surface thread with a second colour thread. You will notice that two of the rows look very similar. However, if you look closely you will see a consistent but different direction of the woven thread. Tip: to weave in and out of a running stitch, use the blunt eye end of the sewing needle. This is generally slightly larger and is less likely to catch the thread already sewn accidentally, which would separate the thread strands. 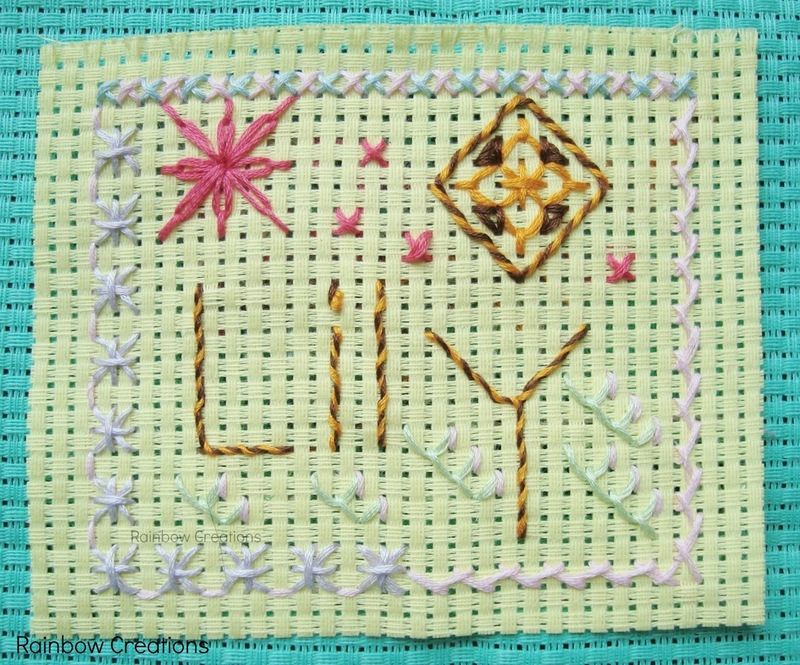 Once children have gained confidence they can try some slightly more adventurous stitching. 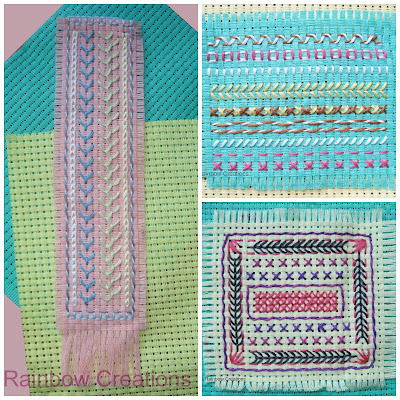 Chain stitch, fly stitch and feather stitch. 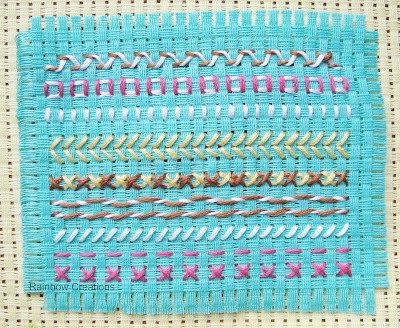 Forming embroidery stitches involves counting. It also involves anticipating where the stitch will finish before starting the row. Creating patterns can give hours of pleasure as each piece of work can be different. Once these basic stitches have been mastered, confidence built and a willingness to experiment, the opportunities are endless. 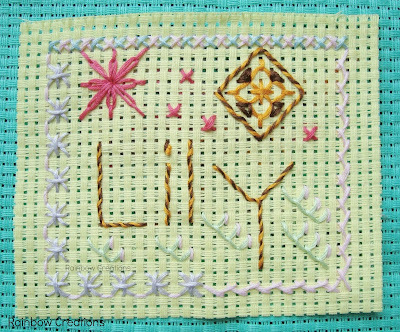 In these examples of easy embroidery stitches for children (and beginners) we have used binca because the stitches can be created uniformly due to regularity of the holes in the canvas. This helps in the understanding of spacing the stitches for when the child sews on fabric without holes. 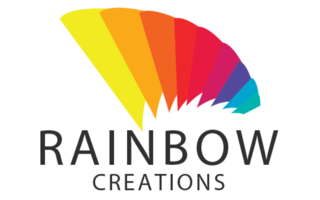 Copyright ©Rainbow Creations 2006-2013. Picture Window theme. Powered by Blogger.